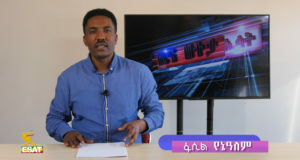 International press freedom organizations have called for the release of journalists and bloggers detained on Sunday in Addis Ababa. 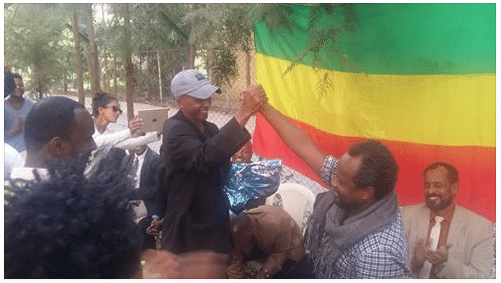 Eskinder Nega (left) and Temesgen Desalegn showing camaraderie on Sunday March 24, 2018. The journalists and some leading members of the opposition were rounded up and detained at a police station, accused of displaying a national flag that is different from the one introduced by the regime in 1996, which has a pentagram at the center. 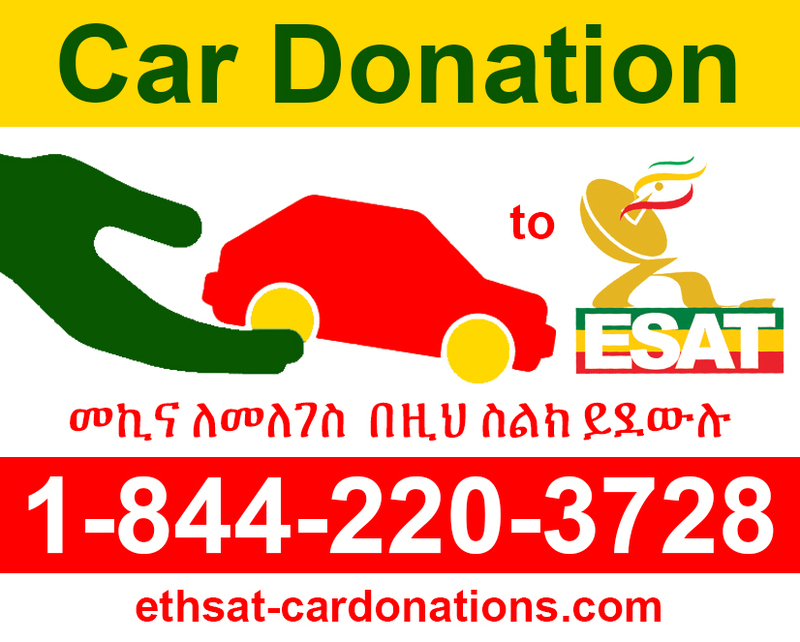 The pentagram, considered a satanic symbol, has been shunned by Ethiopians who display the original tricolor of Green, Red, and Yellow in defiance of the regime and rejection of its authoritarian rule. 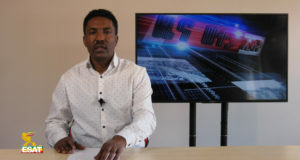 Journalists Eskinder Nega, Temesgen Desalegn; bloggers Befekadu Hailu, Zelalem Workagegnehu, Mahlet Fantahun and Fekadu Mehatemework; and politicians Andualem Aragie, Woineshet Molla, Yidenehackew Addis, Sintayehu Chekol and Tefera Tesfaye, among others, were at the residence of Temesgen Desalegn’s family for a get together to pay respect to political prisoners freed recently. No sooner photos of the group with the solid tricolor flag in their background was shared on social media than police had cordoned off the area and took them to police station. Police reportedly questioned the detainees as to who was responsible for displaying the flag without the pentagram. Most have been released recently after years of imprisonment. 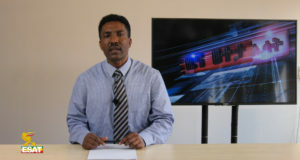 Fisseha Tekle, Horn of Africa researcher at Amnesty International, said that it is not a crime to display any flag within the bounds of your premises or your residence. 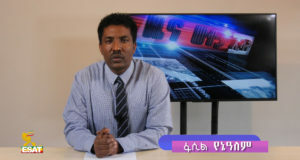 “It is not like they had displayed the flag in public,” he told the Amharic Service of the Voice of America. 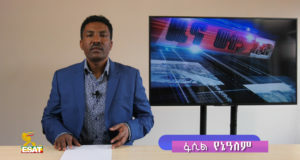 He said the arrest of journalists and dissidents for no apparent reason is proof that what the country needs is not a pseudo reform but a total change of government. The International Press Institute (IPI) said yesterday that it “strongly condemned” the re-arrest of bloggers and politicians and called for their immediate release. 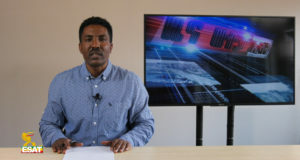 “Ethiopia must not use the state of emergency as a pretext to muzzle critical journalists, particularly those who already have suffered unimaginably during previous imprisonments,” Quintal said.